Portable Cue Dude Cue Stick Caddy. 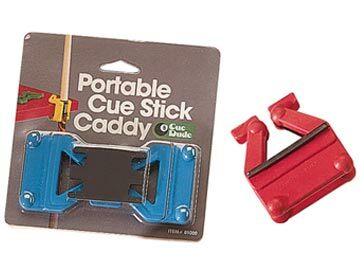 The Cue Dude is a pocket-sized cue stick caddy. This handy little tool converts any table into a cue stick rack. 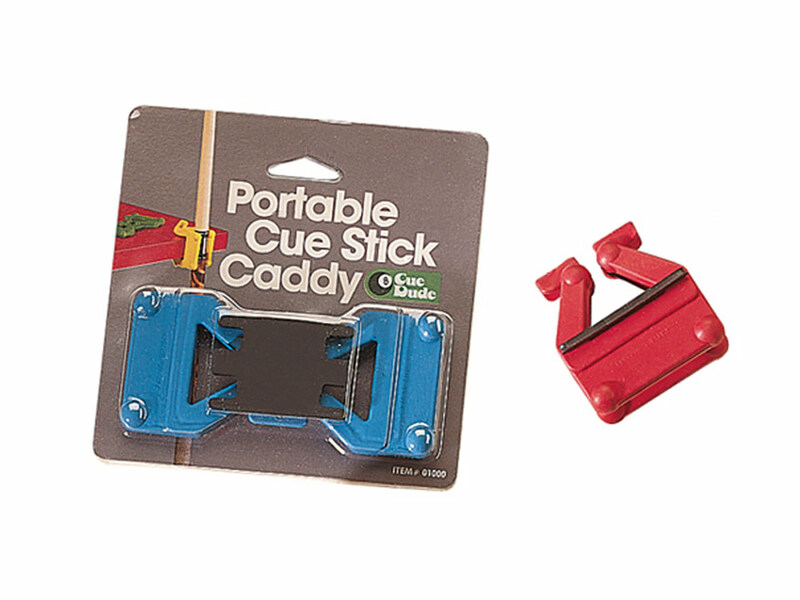 The Cue Dude features a rubber cue holder and a clamp that attaches to the edge of a table. Made with soft rubber, the Cue Dude is safe for both your table and your cue.